Most of us has at least one relative that, fairly proudly, used to have vinyl floor tiles, usually in the kitchen, stuck down to a wobbly floor. That is the picture that comes to mind when you think of vinyl floors, those horrible little plastic tiles that just wouldn’t stay down. Fast forward to now, and you would be pleasantly surprised at the latest ranges of vinyl floors. Gone are the days of vinyl floors that would fade or lift. 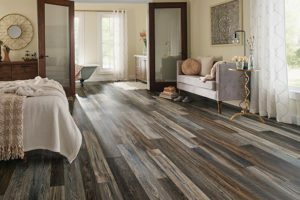 Now you can even choose from luxury vinyl tiles to planks with a variety of finishes that include wood, stone and all manner of modern patterns. 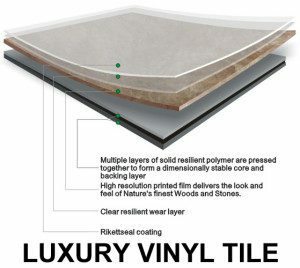 Loose-lay luxury vinyl tiles can be pressed down without any need for adhesive. All these choices for one! Vinyl floors are strong, durable and easy to clean. Also, it is slip proof, a good heat insulator and moisture-proof. Installation is easier than ever before with the different options available. same reasons, but with some extra perks like realistic wood finishes. into the redesign of vinyl flooring, which has resulted in you having a lot more flexibility with your floors, you can now even use luxury vinyl tiles with your radiant underfloor heating. Contrary to what you may think, luxury vinyl tiles are actually a cold floor covering once it is installed on a cold subfloor, so underfloor heating is certainly a good choice! Prepare the sub-floor – Clean the subfloor to ensure that there are no debris that could damage your radiant underfloor heating. 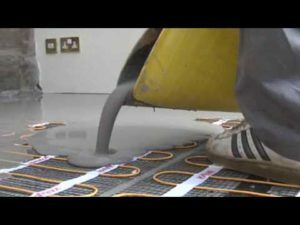 If the floor is damaged or uneven, treat the floor to a layer of self-levelling screed after you have laid down the heating cables. 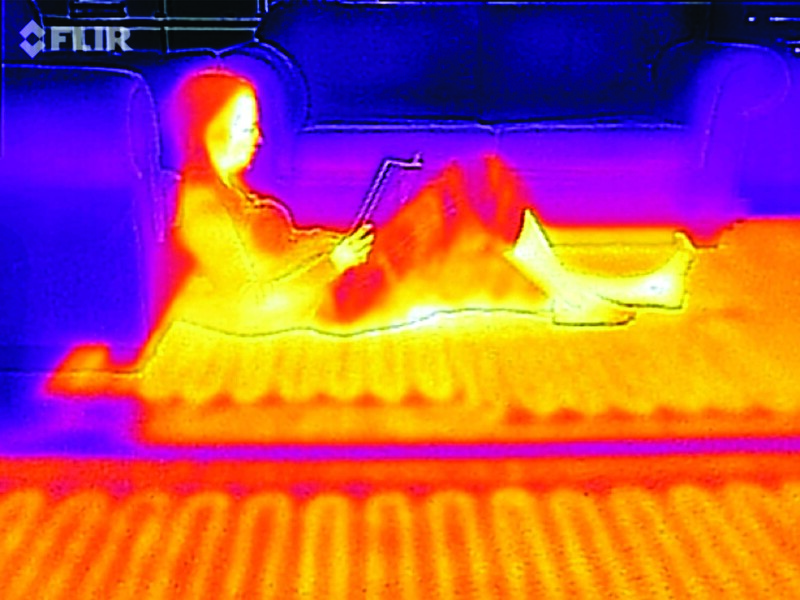 As with laminate floors, the heating element must cover 90% of the floor area and the maximum temperature should not exceed 27ᵒC. The temperature can be regulated with an intelligent thermostat, which can be pre-set to ensure that the heat does not go over the maximum allowed mark. 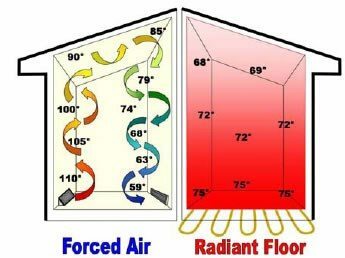 Your floor sensor will monitor the floor temperature and regulate the heat so as not to damage your new luxury vinyl floors. For answers to all your underfloor heating questions, don’t forget to follow our blog and check us out on our social pages. #warmupsa can be found on Facebook, Twitter, LinkedIn, Pinterest, Instagram and Google+. #Warmupsa has partnered with renowned brands Viega Fonterra, OJ Electronics, Marmox, and Heatmiser, to bring you another sustainable heating solution.